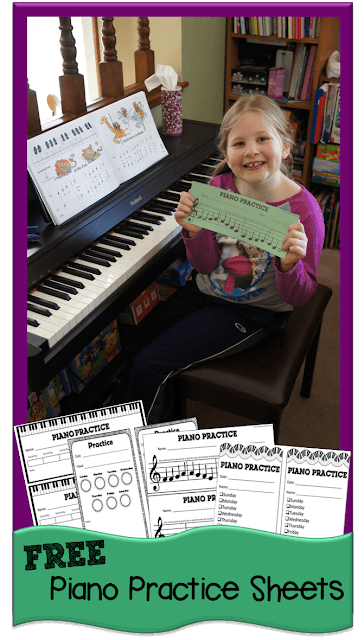 Looking for a fun, easy-to-use chart to help kids keep track of piano practice? 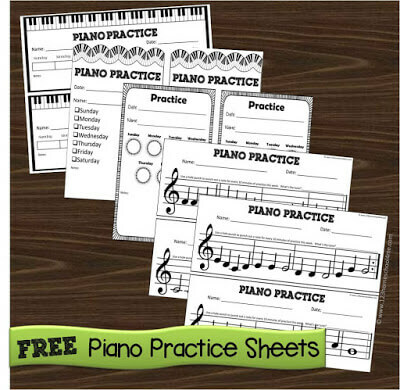 There are lots of choices to help kids keep track of practicing piano in these clever FREE Piano Practice Sheets. These piano practice charts are great for helping kids of all ages record the time they are practicing piano. Use with 1st grade, 2nd grade, 3rd grade, 4th grade, 5th grade, 6th grade, and more. Also work for practicing other musical instruments too. Just print and cut the page in half to have 2 charts for recording piano practice. There are 5 different styles to choose from. Our favorite is the music one where kids hole punch a note for each 10 minutes they practice until they complete the melody. Then students can play the piece which they will recognize as a common song like Old MacDonald.